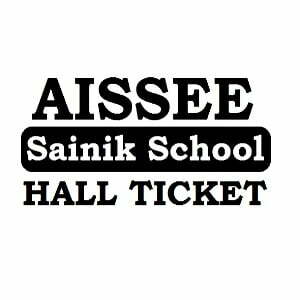 Sainik School Entrance Exam Hall Ticket or Admit Card 2019 Download for AISSEE 2019-20 Admission Selection Tests, Sainik School Hall Ticket 2019 Download Available from the first week of January 2019 and the Admission Test Scheduled on 6th January 2019 (First Sunday of January)….. The Sainik Schools Society, Board of Governors, Ministry of Defence New Delhi has successfully completed the AISSEE 2019-2020 application registration for all Sainik Schools to admission into class 6th and 9th standard at all Sainik Schools across in the country, According to the reports, lacks students are applied through online for AISSEE 2019, the Sainik School Entrance Test registration service closed on 26th November and receipt of application also closed on 1st December and the AISSEE 2019 admission selection tests is scheduled on 6th January 2019 at all selected centers across in the country. The Sainik Schools Society will issue AISSEE Hall Ticket 2019 or admit card only to eligible candidates and the candidates who have submitted their application without errors, and unsuccessful registration are not acceptable and the Sainik Schools Society announced rejected application list with details of rejection, and they have issue AISSEE Hall Ticket 2019 as per schedule through online mode only, and there is no offline distribution and they are not sent the Sainik School Admit Card 2019 by post or courier to the applicant, every AISSEE 2019 applicant can download their hall ticket with providing their submitted application reference ID number and etc. The Ministry of Defence and Sainik Schools Society has issued AISSEE Hall Ticket 2019 to all eligible students through online from their official website only, and there is no possibility to download other private portals and students can follow the simple product to download class 6th admit card and class 9th admit card, follow the steps to download AISSEE Hall Ticket 2019. That’s it, the AISSEE Entrance Examination test hall ticket is downloaded successfully, take two copy’s of the printout and save one for future reference and use one to attend allotted examination test to report invigilator. Every Sainik School Students must read complete instruction before to attend the allotted examination test venue center, and the AISSEE Exam Instructions are issued through the printable copy of hall ticket or admit card, every student can read complete guidelines, and the hall ticket will provide student identification with allotted test venue details, timings and all details of the exam. The Student must to attend before one hour of the test schedule and report to the exam center officials to getting admission. The Board of Governors, Ministry of Defence has scheduled the admission selection test date is 6th January 2019 (First Sunday of January) for all Sainik Schools across in the country, and the examination test conducted at various centers, the student can get your exam center at your AISSEE Hall Ticket 2019.